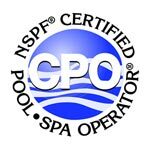 Some pool service companies quote a price that does not include chemicals. Our pricing includes all chemicals required for normal maintenance and keeping your swimming pool clean and clear. Call (480) 540-7665 for a custom repair quote. All prices are for work done in Queen Creek, Mesa, Gilbert, Chandler, Apache Junction, Gold Canyon, Ahwatukee, Tempe and Scottsdale. Call for quote outside these areas.